Rangeman! oh how I love thee!! G-shock's are awesome! Master of G kicks it up a notch!! 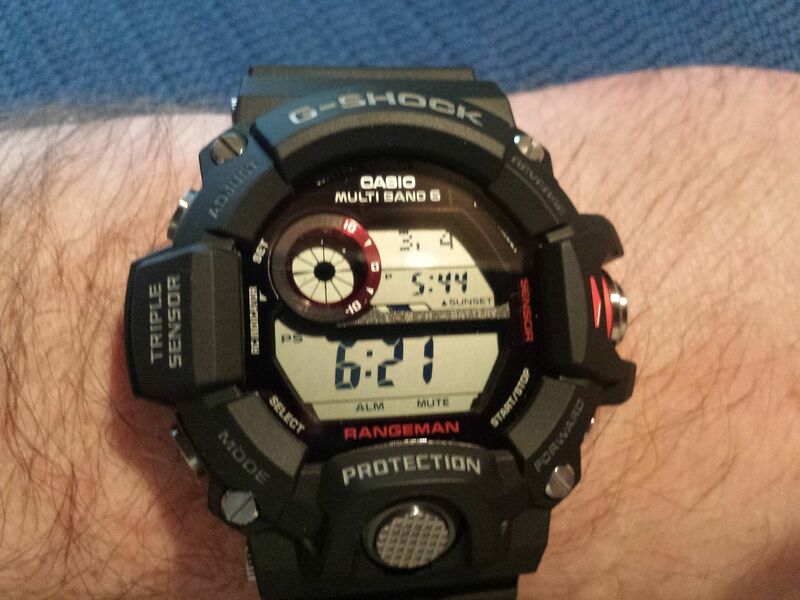 and the Triple Sensor, Master of G Rangeman, is amazing! first, I think it is beautiful!!! I know it is not seen by others while you wear it, but I love the jungle cat with a compass that is on the back plate. the buttons were designed to be used even if you have gloves on and the texture does provide extra purchase. I like the feel and would say that the "grip" of these buttons is lower than the new victorinox file, but more than the old file. the small circular indicator is very nice looking and the red-ish purple is very stylish. 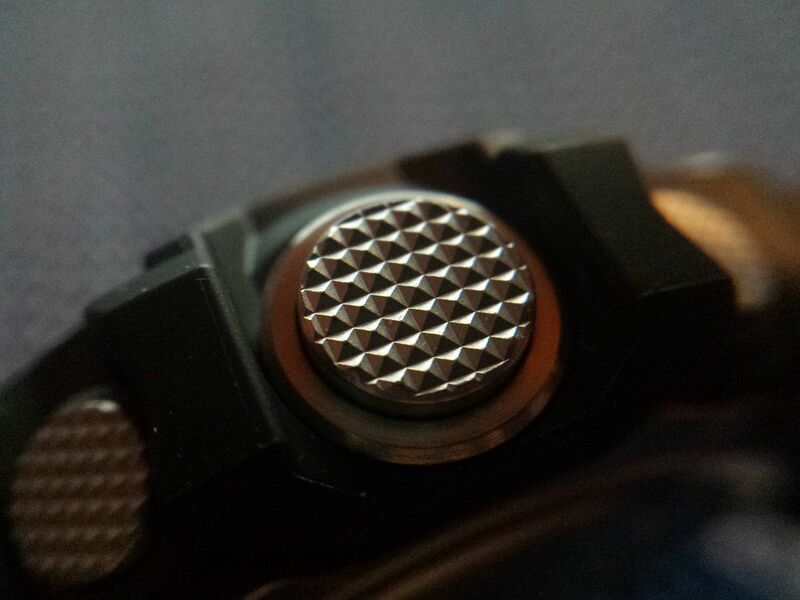 the band-keeper is metal, it is very nice looking, but I think I would have preferred a resin one. this is just a personal preferrence, and it is not that big of a deal, I just prefer the muted resin "thud" to a metal "tap" on the desk. this is a little bigger than the GD350 I reviewed the other day, and a little heavier, but I think I will adapt to it quickly. 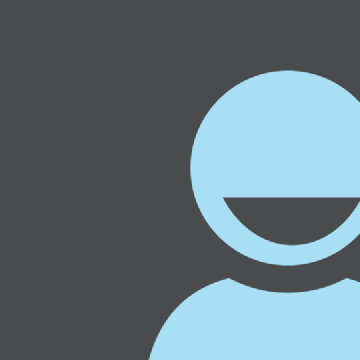 OK, here is one of my favorite features. not that I need this info on a regular basis, but I think it is rather cool. Sunrise and sunset data that not only shows for the current day, but you can cycle through and look up sun data for any day past or future. the main timekeeping screen can provide the day of the week or the 42 hour barometer graph. to me this watch has the ABC sensor trio that make a possible life saving tool. the fact that it is mud and sand resistant on top of water resistant just adds to the trust I will place on this watches ability to take a beating. With a MSRP of $300, I feel this watch is worth the price, I do not like paying that much for a watch personally, but this thing is super cool, and tough! as to ALL the features available on this watch, I recommend the "video manual" videos below by fwupow. HELPFUL VIDEOS I watched all three of these videos more than once! Re: Rangeman! oh how I love thee!! Wow! That's a nice watch. Mine just tells time. You can find north with it on a sunny day. I think the coolest bit is if you hit the stopwatch button it autostarts unless there is already a time preloaded. 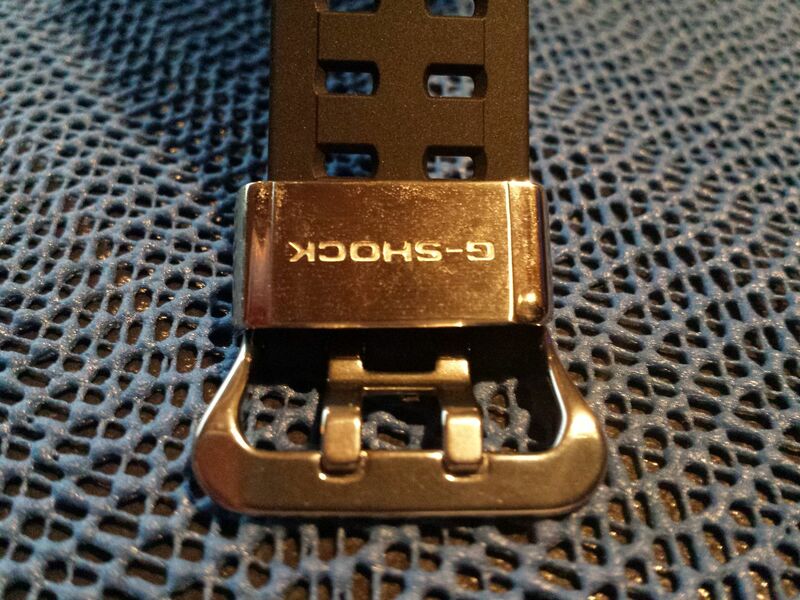 Do you know if those top screws are only for show? That's what I heard, but I wasn't 100% sure. I am afraid I do not know the answer to that question about the screws, but you are correct on the auto-start stopwatch feature, My other G-shock (GD350) has an auto-start timer. You got it bad, eh? Nice watch, although a bit big for my skinny wrist - and a bit expensive to bang it into walls and machinery. Huh... Ok, you say it's beautiful but... Do you like it or not?! I've been happy with the two G-Shocks that I have, but you had to go and buy this sweet beauty and show it off, didn't ya! That thing is so ridiculously awesome, I want need one! I really gotta stop adding to my "need to save for" fund. 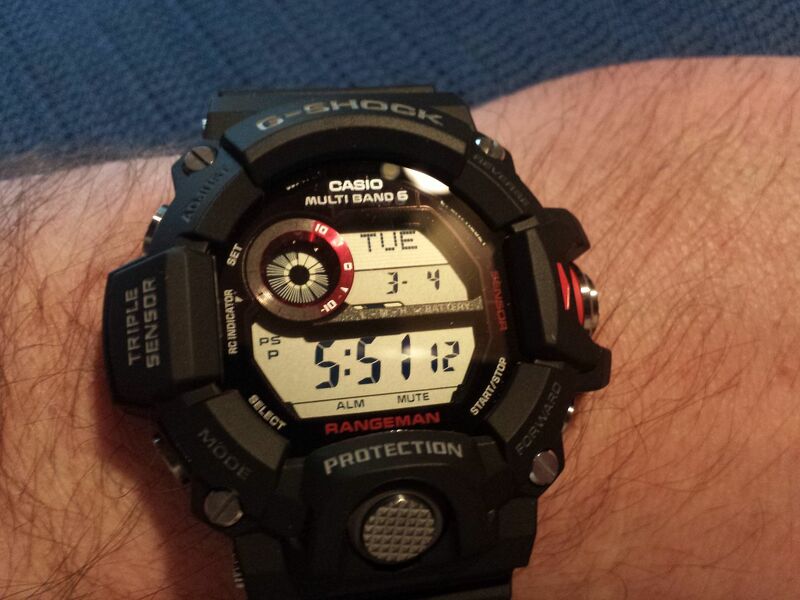 I do love it, that is why the subject is "Rangeman how I love thee"
Another Awesome watch Detron. I think the screw are for visual purposes but I am not sure either. I think they sure look good either way. 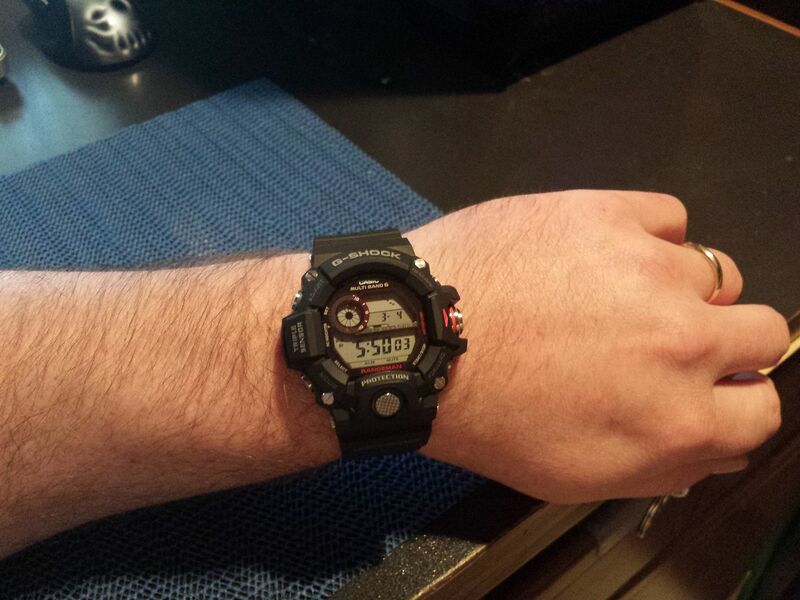 Fwupow has some great videos and is quite the authority ( to me ) on all things Gshocks. I have always felt a watch like this replaces several gadgets that would or may be carried in more easily. There are some things that while spendy return a high value to the owner. When I was in college I bought a expensive bike and everyone around me was like " you spent that on a bike?" I knew the value was in how well the bike was built and with standard care the bike would last me ( I still have the bike today ). Costed out now over A) 15 years I rode that bike it was very cheap, and B) the pure enjoyment I had while riding the bike cannot be measure by dollars. Enjoy the great new watches and some day your son will be wearing one these. I have a few Gshocks that have been around longer than m oldest child 18yrs. I am already considering getting my 2 boys a G-shock each (new) something that hopefully they will have into adulthood. 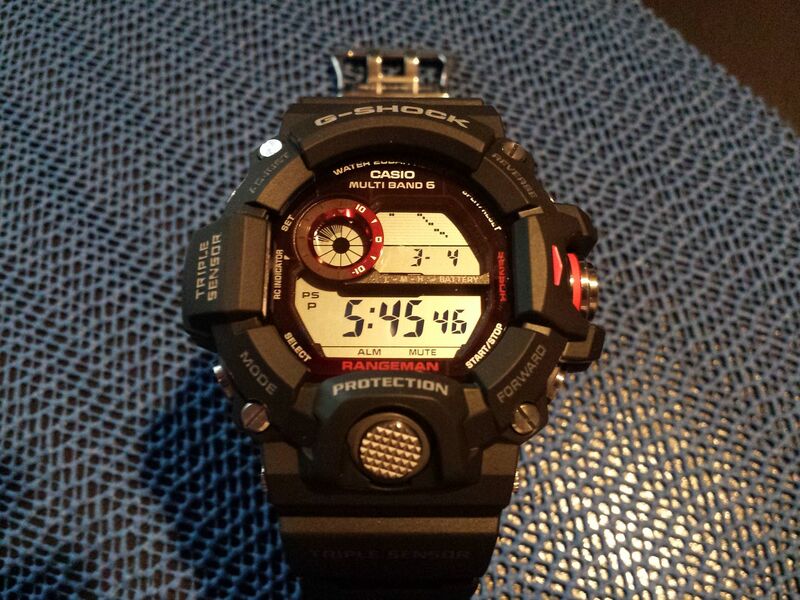 I have the "Riseman" version of the G-shock (shown above, if you look for it), which is awesome. Best feature is the atomic function, so I know the watch is always correct. But I also love the barometer. I get woozy when the barometric pressure rises or falls sharply over the course of several hours, and its always nice to look at my watch and confirm that my dizziness is weather-related. But these suckers are tough, and the solar function never needs a battery replacement. I love mine. That's a question, I was waiting on the answer. "Did you marry me for love or for interest?" "Yeah, I have no interest in you, woman..."
Very nice watch .but how much im a fan of g-shocks for around 32 years and still feel that at this price the lose that bashabillity as expensive but no tougher than a dw5600c that cost £40-50,plus the metal protrek casios have abc functions and cost less,oddly had this discussion with my dentist the other day, good looking watch though and would love a masters of g frogman one day but also expensive. I agree the price is high, but to me I get the abc, solar, atomic, and g-shock together in one. 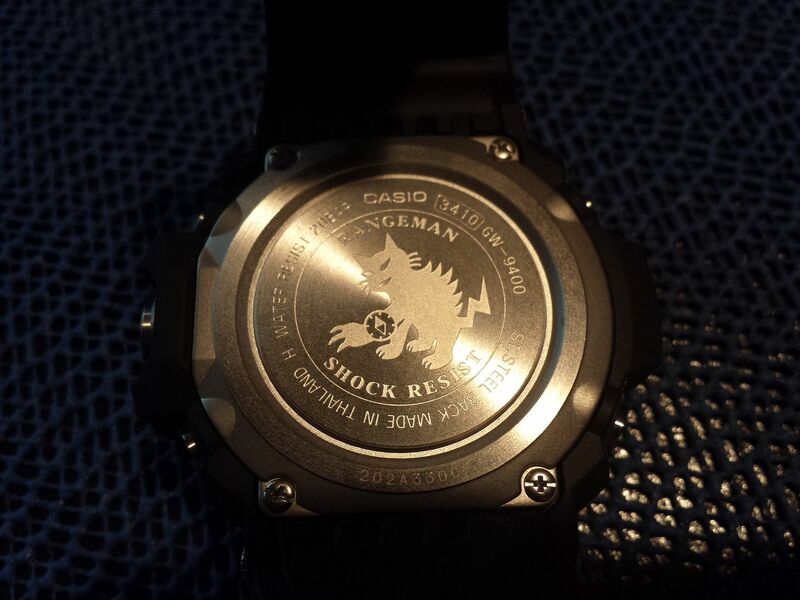 also this one is mud resistant like the frogman is. I am a gadget nut, so anytime someone has created something cool, I am excited about it. You should have seen me when Texas Instruments released the Ti-85 Engineering calculator! I was in high school, but I got one, and learned math from the calculator, not to mention I learned to program the calculator. hmmm, I see a possible successor to my long-time friend, Pathfinder. if you need a prod, you are close enough to see it in person! 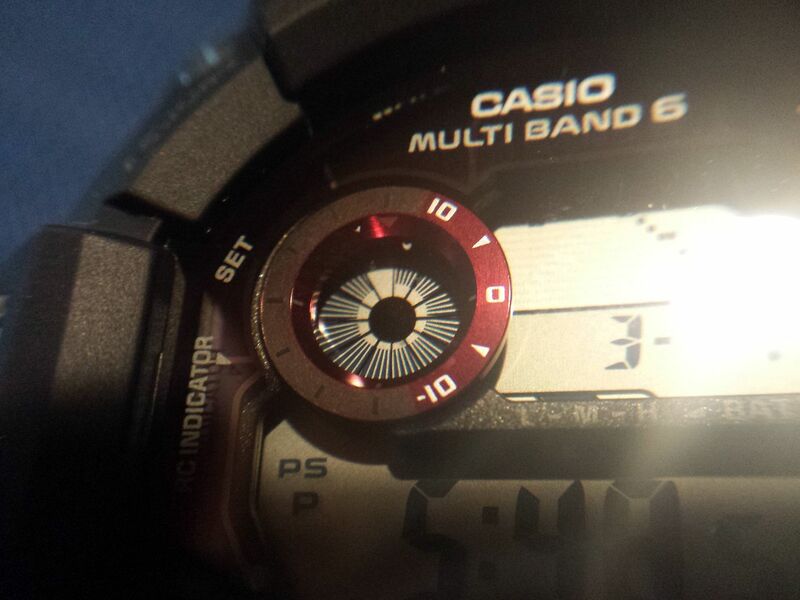 registered this watch online with casio, and again received a 2 year extension to the warranty. That is pretty nice indeed! oh well, this is such a great watch! From the time mode, I pressed the Adjust button, Mode Button and the Reverse Button (or A,B,C buttons) at the same time. It's a test screen - with TLT you can test the auto EL gravity switch - tilt the watch and it should display "8888". The SLR is to test the solar panels - cover the display with your hand and remove it and the watch should also display "8888". I cannot get this to show up every time I try, but regardless, I found it cool. Wow nice to know, I'll try it out. Well I've watched them several times, actually, nefore buying the watch. They helped me in deciding to buy it, and I don't have any regret so far.